Nature has a profound impact on health and measurably reduces stress. Even views of foliage have been shown to have healing effects. For this reason, great care was taken to ensure the beauty of views from indoors. 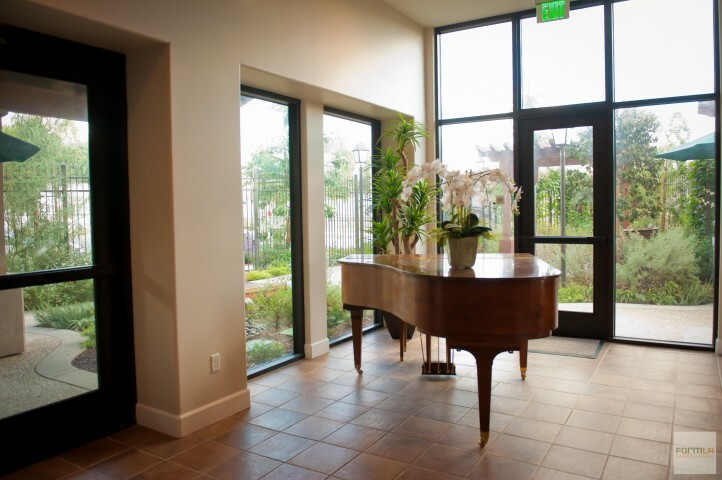 Soon vines will grow to cover fencing, leaving only lush, leafy greenery beyond the piano.